10% Off Large Kitchen Appliances Orders Over £350 at Currys PC World For incredible deals on large kitchen appliances, you'll want to shop at Currys PC World with a discount code! Exclusive £15 Gift Card with Orders Over £300 at Currys PC World Order over £300 from Currys using this link and once your purchase is verified, you'll get a £15 gift card to spend. £120 Off Apple MacBook Pro 13" Orders at Currys PC World Ever thought of buying an Apple Mac? Now's the time! Get £120 off at Currys PC World today. Exclusive £10 Gift Card with Orders Over £200 at Currys PC World Receieve a £10 gift card once your purchase has been verified. Find 50% Off Hundreds of Products at Currys PC World Take a look through the hundreds of products for up to 50% off and make some spectacular savings. £100 Off Samsung All-in-One Sound Bar with TV Orders at Currys PC World A great saving to be made here. Simply choose your TV and add this soundbar to your basket then enter the code to get £100 off. Free Install & Recycle on Hotpoint Activcare Tumble Dryer Orders In-Store at Currys PC World Super deals available when you pop in-store at Currys PC World! £50 Off Selected Built-in and Integrated Appliance Orders at Currys PC World Get this amazing discount on a great range of appliances with Currys PC World. Free Install & Recycle on Hotpoint Activcare Orders In-Store at Currys PC World Don't miss out on a free install! 10% Off Selected Hotpoint Integrated Appliance Orders Over £200 at Currys PC World Apply this great code when ordering selected Hotpoint appliances over £200 to save 10%! 10% Off Beko Heat Pump Dryers at Currys PC World Shop the range of Beko heat pump tumble dryers at Currys PC World and get 10% off today. £35 Off 2 Amazon Echo Plus Devices at Currys PC World Make use of this Currys PC World voucher code, and save big on your Amazon Echo Plus order. Free 6 Months' Supply of Finish Products with Beko Smart Dishwasher Orders at Currys PC World If you order the BEKO AutoDose DEN59420DX Full-size Smart Dishwasher, you'll also get free Finish dishwasher products for 6 months. £100 Off 2 Amazon Echo Show Devices at Currys PC World Transform life at home with an Amazon Echo, and save big with this Currys PC World voucher code. £200 Off Selected Laptops and Desktops at Currys PC World After a new laptop or desktops? Currys PC World are offering up to £200 off a range of brands. £50 Off ASUS C523 15.6" Chromebook Orders at Currys PC World Save £50 when you buy the ASUS C523 15.6" Intel® Celeron™ Chromebook today. £40 Off 2 Amazon Echo Spot Devices at Currys PC World Make things convenient at home, and save £40 on your Amazon Echo Spot order at Currys PC World. £50 Off Selected Rangemaster Cooker Orders at Currys PC World Save £50 on a great choice of high-quality Rangemaster cookers at Currys PC World. £10 Off Large Kitchen Appliance Orders Over £249 at Currys PC World Get a great discount when shopping at Currys PC World! 10% Off Selected Audio Orders at Currys PC World Update your sound system and get 10% off at Currys PC World! Save £50 on Samsung Wireless Sound Bar with Any TV Orders at Currys PC World Get the Samsung HW-R450 2.1 Wireless Sound Bar for £50 less with this discount code! £50 Off Freestanding and Range Cooker Orders Over £500 at Currys PC World Get great savings on a variety of home cookers when you shop with Currys PC World. 10% Off Smart Security and CCTV Orders at Currys PC World Get complete peace of mind, and secure your home with Smart Security and CCTV at Currys PC World. £50 Off 2 or More Large Kitchen Appliance Orders Over £500 at Currys PC World When you shop 2 or more LKA and it comes to over £500, use this discount code to get £50 off! Half Price Installation on Selected Rangemaster Cooker Orders at Currys PC World Get installation of your new cooker half price today! Half Price Installation on Selected Rangemaster Gas Cookers at Currys PC World Get your brand new Rangemaster cooker installed for half the rice at Currys PC World! Hundreds of Currys PC World stores can be found across the UK, all stocking the biggest names in technology and home electricals. If you’re looking for the latest technology or all-singing and dancing appliances then you’ve found the right place, especially when you shop with vouchercloud. This is more than just an electronic shop, the extra support offered by the team is second to none and includes everything from buying advice to installation support. Now it's easy to get ahead of the game and update both your home and lifestyle for less. Now you can follow your dreams and make the most of your ambition when you find the perfect devices to get you started. The right laptop can take you leaps and bounds; with the Currys PC World's handy Laptop Buying Guide you'll get laptop savvy in no time and feel confident in your investment. Discover incredible features to support your work whether you're a student, blogger or happy-go-lucky browser - there are a number of models all from renowned brands that are waiting to wow you. How do I use my Currys discount code? Select your method of payment and click ‘Continue’ to complete the transaction. Why not download their new Price Comparison App? It'll let you compare prices against other leading retailers so you'll always know that you're getting the best deal at Currys PC World. Yes, the Price Promise at Currys PC World means that if you find a better deal at Argos, Asda, John Lewis or AO.com within 7 days of your product purchase, Currys PC World will verify the details before matching the price for you. Call 0344 561 0000 or return to your relevant branch; check out the price promise page for more details. Does Currys PC World do student discount? There isn’t a fixed student discount in place at the moment, but by signing up to request discount through student beans - you’ll be the first to know about when it’s available. Can I get free next day delivery with Currys PC World? Currys PC World delivers every day of the week and offers next-day delivery, free standard delivery and same day delivery on weekdays. There are different options for different items, do check the range of delivery methods and prices online to find one that'll suit you. Will this Currys Black Friday be bigger than ever? How could anyone forget the savings that were made in the Currys PC World Black Friday sale last year? There were tremendous deals on laptops, TVs, audio systems and much more, but don’t worry if you missed out, because at Currys every Black Friday event is a big deal. If you’ve received a product from Currys PC World and it’s not quite right or is faulty, you have 21 days from delivery in which to complete a return. The team will be happy to speak with you to arrange repairs, exchanges or refunds; contact the Knowhow centre on 0344 561 1234 to organise a product collection or refund and do check online for the different Terms and Conditions. Alternatively, you can also pop into your closest Currys PC World store for more information or a refund. When you’re shopping electricals, you want to know that you’re with a store you can trust and Currys PC World is just that. This household name specialises in TVs, computers, white goods and more - shop with a Currys discount code to get money off items that could make all the difference to your day to day life. 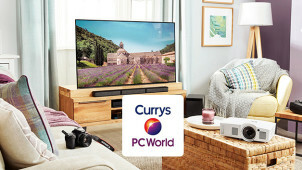 With Currys PC World’s knowledge and expertise - you can be sure to leave with the item that’s right for you this summer. Looking to ditch your old appliance this summer? Currys PC World will save you the hassle of disposing of your old goods with its recycling service. When they deliver your new goods, they will take away both your new packaging and old goods. Now it’s easy to replace your washing machine, dryer, cooker, dishwasher and more so you can play your part in safeguarding the environment.